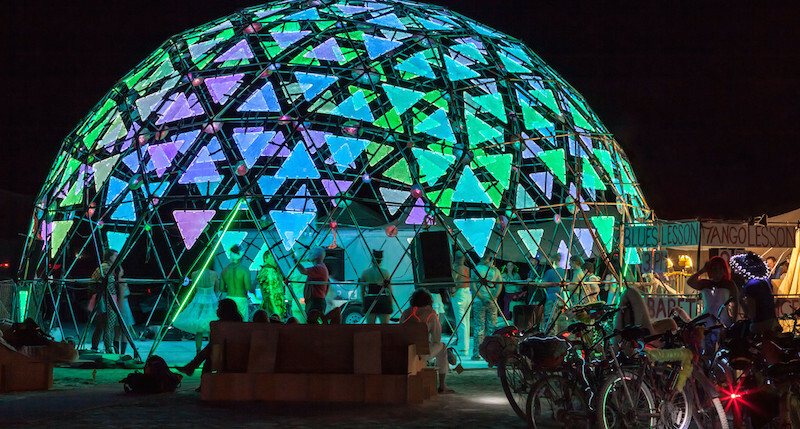 The original Radiance Dome is a free standing art installation based on a 5 frequency geodesic dome. It contains 190 illuminated panels and 120 vertex lights, which together form a highly customizable, light-driven 3d surface. Standing approximately 20’ tall and with a diameter of about 40’, the Radiance Dome is designed to be a space which captures the eye of the visitor from both inside and out. It enables you to experience light as never before! 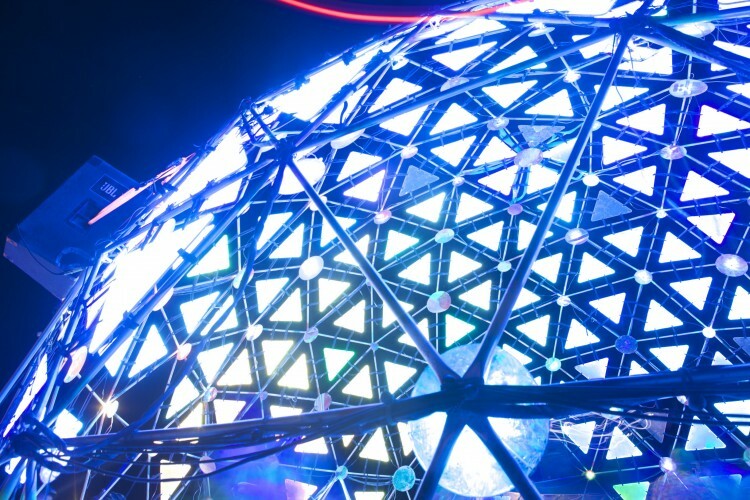 A customized Radiance Dome, such as for example used during the opening ceremonies of the IYL2015 in Paris, is offered using the same technology with prices starting at $200,000. There’s also a smaller portable version available, the Radiance Orb. If you are interested in purchasing an installation or displaying one at your next event, please contact Light at Play. Light At Play’s Radiance Dome features luminous Light Guide Panel triangles equipped with LED lights that literally glow as they change color with music and movement.